Negara is the central city of Jembrana Prefecture that is 4 hours from resort area. There is a busy street, however, the town is surrounded by rice field. 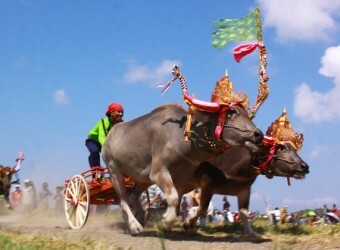 Negara is famous as the unique culture, especially, the giant bamboo gamelan “Jegog” and “Buffalo Race” that is held from July to November every year.